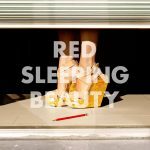 Two things that I adore unite together in this joyful track from Red Sleeping Beauty; you get indiepop and you get an homage to soccer. This track is being labeled as the unofficial Swedish World Cup anthem, thus the title of the tune. Heavy on the beats and high on harmonies is a sure-fire way to get right into my listening rotation. Hopefully this track can hold you over until the World Cup kicks off in a few weeks…or until the band wraps up their new studio album, which is rumored to be out this Fall.